Want to shrink that muffin top or lose the love handles? If your body isn’t as beach-ready as you’d like it to be, we can help you shed excess weight with ChiroThin, a dietary supplement that’s natural and safe. Fast and effective, ChiroThin was designed to complement the ChiroThin Weight Loss Program, which is doctor supervised. ChiroThin contains an array of high-grade, healthy ingredients, including amino acids and vitamins. This nutritional support formula helps in the transport and metabolism of fatty acids, the stabilization of blood sugar, and the intensification of metabolism and detoxification. We’ll help you learn how to shop for nutrient-dense, low-glycemic and anti-inflammatory foods that will be paired with the ChiroThin supplement. When you combine the supplement and foods, your body will be able to effectively transform accumulated fat into energy. And with ChiroThin, you don’t need to commit to purchasing prepackaged foods and shakes. Lose up to 35 Pounds in Six Weeks! If you’ve tried numerous other weight loss programs and haven’t had success, we’re confident that ChiroThin can help you lose significant weight and keep it off. Most people lose 20-35 pounds during the 42-day program. Hoping to see a whittled middle along with the weight loss? 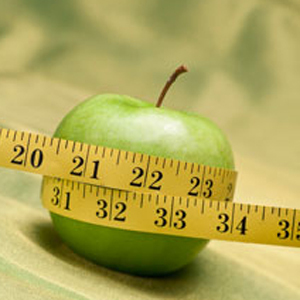 Those on the program usually lose inches while pounds get subtracted from the scale. Individuals who take the ChiroThin formula often indicate that they feel great and don’t get as hungry as they did with other weight loss programs. If you’re ready to shed those pesky pounds and have more energy to do the things you love, contact us today for more information about ChiroThin.